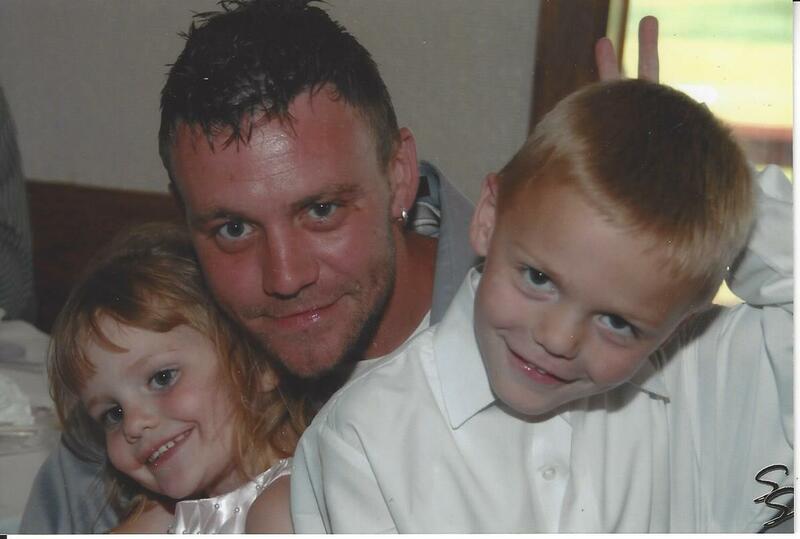 Cory C. Caudell 39, died Thursday April 4, 2019 at Diversicare in Sedgwick, Kansas. He was born August 30, 1979 in Newton, Kansas to Mark Caudell and Teresa (Kirchmer) Stucky. Cory was a 1998 graduate of Newton High School and worked for Excel in Hesston prior to his illness. Cory was known for his unique sense of humor and the easy way he made friends. He had a caring personality and often helped people in need; he never met a stranger. He liked spending time talking and laughing with friends and family. He enjoyed fishing, playing softball, and listening to music, but his greatest joy in life were his children. Cory is survived by his mother Teresa and stepfather Don Stucky; father Mark Caudell; children Caleb and Annika Caudell; sisters Tara (Nick) Schmidt, Kylie (Bo) Tucker, Chelsey Caudell; grandparents Chuck (Nancy) Caudell, Jan Caudell; and many aunts, uncles, and cousins. He is preceded in death by his grandparents Marion and Lois Kirchmer and his children’s mother Amy Curtis. A memorial service will be 10:00 a.m., NEXT Saturday April 20, 2019 in the family life center at Salem United Methodist Church in Newton, Kansas with Chaplain Laura Snyder of Serenity Hospice presiding. A register book is available at Petersen Funeral Home 9 a.m. to 4 p.m. every day prior to the memorial service. Memorials are suggested to the Caudell Children Education Fund, Diversicare of Sedgwick, or Serenity Hospice in care of Petersen Funeral Home. Sorry to hear about the passing of Cory. He was always really nice and we had several funny and interesting conversations i will always remember. And seeing his smile and him wearing his do rag. Thinking of you all. He will be missed.